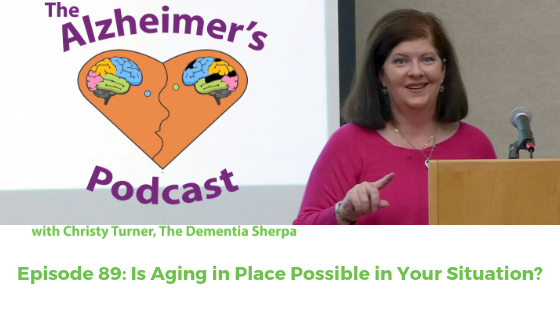 Dementia Sherpa - Episode 89: Is Aging in Place Possible in Your Situation? Episode 89: Is Aging in Place Possible in Your Situation? Welcome to Episode 89 of The Alzheimer’s Podcast, where we’re all about bringing The Good Stuff (that’s respect, kindness, love, empathy, and compassion) for people living with dementia, their families, and the professionals who support them. I’m Christy Turner, AKA The Dementia Sherpa. I’ve enjoyed the privilege of working with over 1,500 people living with dementia and their families so far, including multiple experiences in my own family. If you’re like most people the idea of sitting down for an appointment with an elder law attorney, financial planner, insurance salesman, or loan officer falls into that category of things you know you should do but are so icky-sounding that you’d rather scrub bathroom tile with a toothbrush. I feel ya. But if you’re wondering how you’re going to pay for the care your person needs down the road, this episode is definitely worth a listen. Guest Rachel Hemmingson breaks down the nuts and bolts of a home equity conversion loan (formerly known as “reverse mortgage”) without boring the pants off you (at least, not past the first four minutes or so). 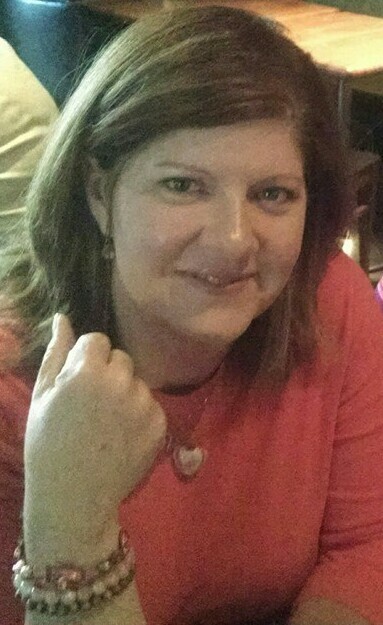 In this episode of Navigating Rough Terrain with the Dementia Sherpa, Rachel explains in plain English who qualifies and how the money can be used, we share 4 real-life stories, and give tips on how to find a reputable professional who can help you explore your options. Plus, I hijack the conversation and go down a rabbit trail on hearing aids.